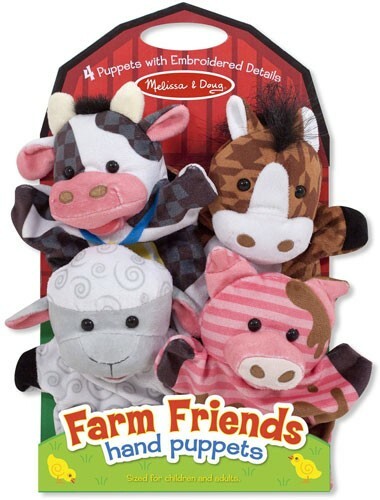 Have a little fun on the farm with the Melissa and Doug Farm Friends hand puppet set! 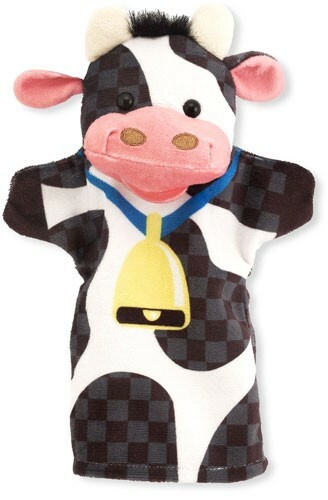 This four-piece set of puppets makes it easy for children and caregivers to role-play together. Four simple glove puppets in a coordinated theme can act out a scene together, or be used separately for simple puppet play. Either way, they are great for developing motor skills, hand-eye coordination, communication skills, self-confidence, parent-child bonding and so much more! 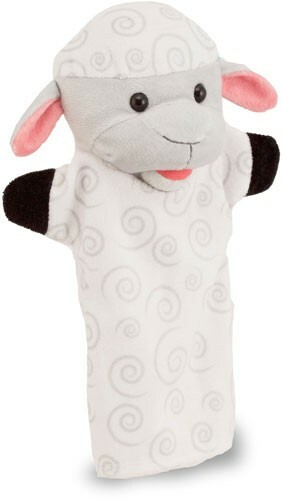 Made with brightly patterned, washable fabrics and built to last, these soft and sweet hand puppets are sure to be go-to toys for years to come. 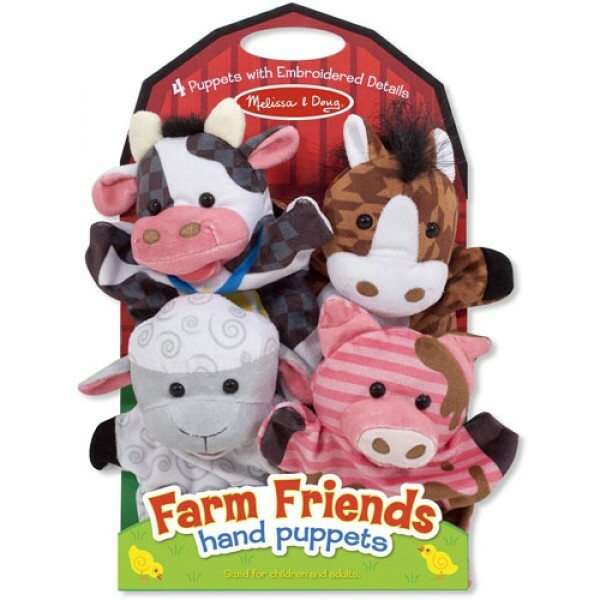 Farm Friends Hand Puppets includes a sheep, cow, pig and horse.